If you still haven’t been on your summer holiday yet, head on over to CheapSmells.com to pick up a tanning bargain or two. They have up to 80% off sun tan protection and fake tan in their end of season clearance. 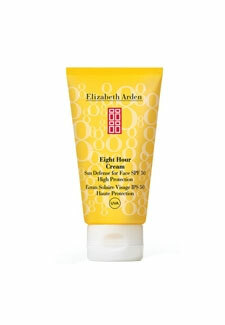 You can pick up fabulous offers to protect your skin from the sun, including Elizabeth Arden’s 8 Hour Cream Sun Defense For Face SPF 50, which is down from £23 to £11.55. If you’re not so lucky to be going on a late summer break, then fake it with one of these great self-tanning deals. We love Fake Bake’s Lipo Bronze Self-Tan, which not only gives you a golden hue, but also helps tackle the dreaded cellulite. It’s in the offer for just £9.99, a saving of £10.51.